Joann Browning, age 74, of Corbin, Kentucky and Formally of Jellico, Tennessee departed this life on Monday, January 28, 2019 at Jellico Community Hospital in Jellico, Tennessee. She was born on April 10, 1944 in Lafayette, Tennessee to the late Aaron and Ola Delk. 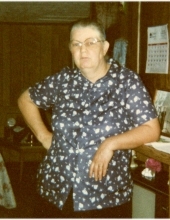 She was also preceded in death by her son Richie Browning; grandson Richie Claiborne Browning; 6 brother(s) Larry Delk, Jerry Delk , Ed Delk, Luke Delk Glen Delk, Jack Delk and one sister Janice Reynolds. She is survived by her husband Elmer Browning of Corbin, Kentucky; 2 son(s) Elmer Wayne Browning (Denice George) of Corbin, Kentucky and Oscar Browning (Anna Byrd) of Williamsburg, Kentucky; one grandson David Browning of Williamsburg, Kentucky; several nieces and nephews; and a host of other family and friends to mourn her passing. Visitation will be after 5:00 P.M. on Wednesday, January 30, 2019 at Croley Funeral Home. The Funeral Service will be at 1:00 P.M. Thursday , January 31, 2019 at the Croley Funeral Home Chapel with Rev. Gerald Mullins officiating. Following the service she will be laid to rest in the Bowlin Cemetery Jellico, Tennessee. To send flowers or a remembrance gift to the family of Joann Browning, please visit our Tribute Store. "Email Address" would like to share the life celebration of Joann Browning. Click on the "link" to go to share a favorite memory or leave a condolence message for the family.